We offer a robust and flexible curriculum. Students complete a set of graduate-level core courses in biochemistry that provide training in biochemical research, methods and proposal writing. They also complete elective lecture and seminar courses that are tailored to their research interests. Students typically finish all of their coursework by the end of year two. Thereafter, research is their primary focus. (2) Chemistry and Biochemistry 268 (Graduate-level biochemistry seminar. Each quarter in year one). PhD students complete a total of 16 units of additional upper-division undergraduate or graduate-level lecture courses. These include, 10 to 12 units of lecture courses, and 4 to 6 units of seminar courses. 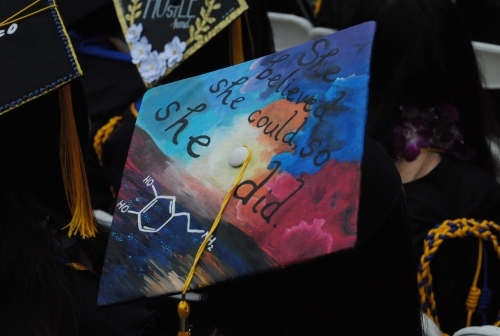 A wide-range of graduate-level courses are taught at UCLA providing broad training in the multiple areas of biochemistry and molecular biology research, as well as student training in the critical evaluation of scientific literature. The BMSB teaching requirement is modest. To gain valuable instructional experience BMSB students teach part-time as Teaching Assistants (TAs) for three academic quarters. Our students normally teach in the winter and spring quarters of their first year. Their third teaching experience can occur anytime after the first year, and is chosen in consultation with the student's thesis advisor. Prior to joining a research laboratory students participate in three 10-week research rotations. This enables students to obtain experience in a range of research disciplines before choosing a faculty thesis mentor. Rotations are performed in the Fall, Winter and Spring quarters of year one. Students can also choose to perform a summer rotation prior to the fall quarter of year one. This option is attractive as it enables students to get a head-start on their thesis research, as they can complete their three rotations at the end of the Winter quarter in year one. Entering students who have earned a Master's degree in Biochemistry or a related field only need to complete two research rotations before joining a laboratory. Students in the BMSB program successfully complete written and oral qualifying examinations prior to doctoral advancement to candidacy. The written examination requirement is coupled to the graduate student seminar (Chemistry and Biochemistry 258). Chemistry and Biochemistry 258 requires a presentation of the student's proposed dissertation research. After completing this oral presentation, the student prepares a written dissertation research proposal. The proposal includes information about the background and significance of the area of research, the specific aims to be addressed and experiments proposed. The written qualifying component of the Ph.D. program is fulfilled after the student satisfactorily completes this proposal. A written proposal that is deemed unsatisfactory may be revised once. Students complete an Oral Qualifying Examination by the end of the Spring quarter in year two. They defend their proposed dissertation research. The proposal is presented orally to a faculty committee that questions the candidate on the proposal, general knowledge of the area, and dissertation research progress. All students are required to take the Oral Qualifying Examination by June 30 of their second year. 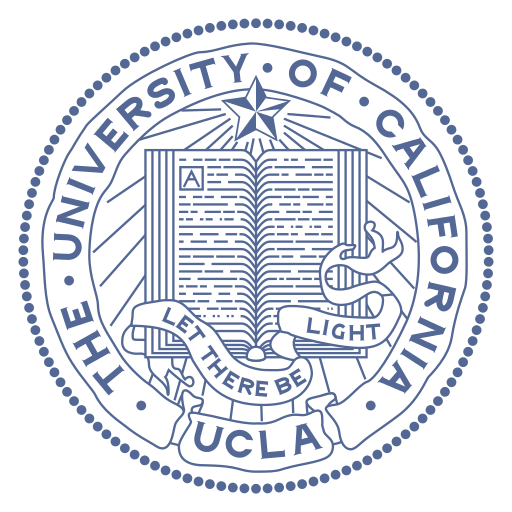 The committee's decision to advance a student to candidacy, to allow the student to repeat all or part of the oral, or to disqualify the student, is based on the student's overall record at UCLA as reflected in coursework and examinations, and the student's research ability and productivity. Students are advanced to candidacy upon successful completion of the core and elective courses, and after they successfully complete the written and oral qualifying examinations. For nearly all students this occurs in the Spring quarter of their second year. Students advancing to candidacy can elect to recieve a Candidate in Philosophy (C.Phil.) degree. Students write and defend a dissertation that demonstrates their ability to perform original and independent research. The student's research constitutes a distinct contribution to knowledge in the principal field of study. Students present an open seminar describing their thesis research.